The California Highway Patrol is investigating a shooting on Highway 4 outside of Martinez late Saturday that left a vehicle with two apparent bullet holes in its windshield. 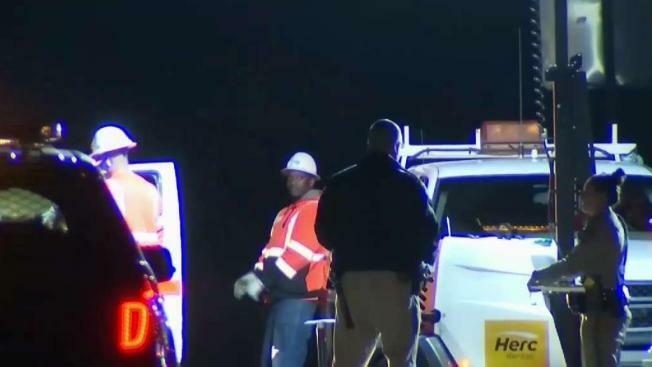 Neither the driver of the Nissan Maxima nor his female passenger were injured in the incident reported just before midnight between Franklin Canyon and McEwen Road, the CHP said in a social media post. The victims told investigators that they were traveling westbound on State Route 4 when possibly a newer model white Toyota Corolla or similar-style vehicle began tailgating them before moving to pass on their left side, as the Nissan slowed. The passenger in the suspect vehicle began screaming at the victims, according to the driver of the Nissan, who pulled to the right shoulder in an attempt to allow the suspect vehicle to pass. The suspect vehicle also stopped on the right shoulder and parked in front of the Nissan. Bullets were fired from the passenger-side window of the suspect vehicle, striking the Nissan's windshield, the Nissan's driver told officers. The victims ducked below the dash, and the suspect vehicle fled. The suspect passenger was described as a white male between 35 and 40 years old, bald, with tattoos on his face and right arm. The driver was described as male of possibly mixed ethnicity between 30 and 35 years old, with short black hair. Anyone with information about this incident is asked to call the Contra Costa CHP at (925) 646-4980 or the 24-hour tip line at (707) 917-4491.